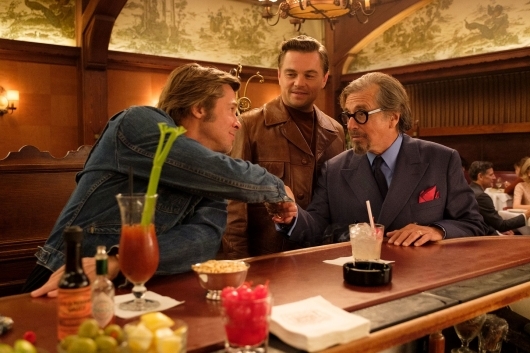 Quentin Tarantino‘s Once Upon A Time In Hollywood is a mystery crime drama set during the final days of the Golden Age of Hollywood. The film will follow a TV actor (Leonardo DiCaprio) and his stunt double (Brad Pitt) embarking on an odyssey to make a name for themselves in the film industry. On this perilous journey, they happen to find themselves being the neighbors of Sharon Tate (Margot Robbie), an actress herself, who will soon become one of the murder victims of Charles Manson and his followers. Some new images have been released giving us the best look at the film so far. Check them out below.